Bots are slippery and weird and not particularly monetizable–which is part of what makes them magic and what maybe puts them at risk. 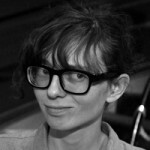 In this article D&S fellow Ingrid Burrington shares her thoughts on bots, GIFs, and magic. Whether or love or hate twitter bots, you should head over to Source and read Ingrid’s perspective on why she believes bots are internet magic.